Although some of the biggest utilities outside of California are still struggling to deal with integrating solar into their portfolios, there are many utilities that get it. Some are large – Duke Energy and Dominion Energy, to name but two. Some are small, such as the Jacksonville Electric Authority (JEA) in Florida and River Falls, Wis., Municipal Utilities. Read more here. During the past four months, a subsidiary of NextEra Energy Resources LLC has brought online five new community solar gardens in southeastern Minnesota. The solar gardens, located as far north as Benton County and as far south as Dakota County, are part of a larger Minnesota community solar garden portfolio totaling 66 MW. The solar farm cost the school district nothing to build and is generating around $165,000 each year in revenue due to the sale of its power to SCE&G. First Solar partners with Arizona utility for peak dispatch solar-plus-storage project, Energy Storage News. 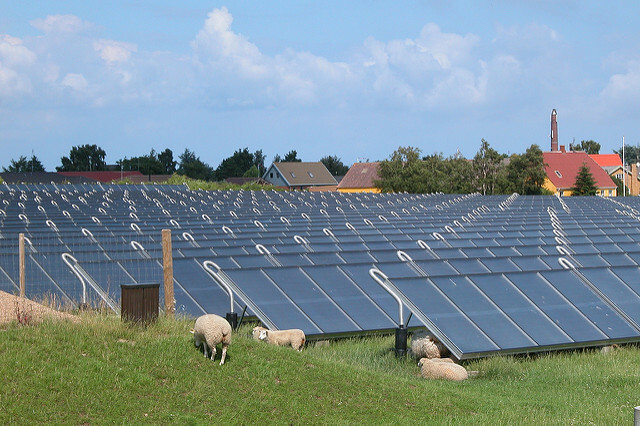 First Solar manufactures thin-film PV panels, which it supplies to utility-scale projects. This entry was posted in NewsBlog and tagged microgrids, MidAmerican Energy, Minnesota's community solar development, Nebraskans for Solar, Nebraskans for Solar NewsBlog, Omaha-based Tenaska, renewable energy news, utilities & municipalities developing solar projects on February 16, 2018 by Helen Deffenbacher.